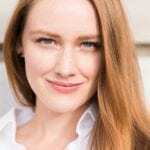 It is shaping up to be an extremely exciting season for Avery, who recently made her debut at the Salzburg Festival as the Page in Salome, and will make her debut with the Early Opera Company in a performance of Dido and Aeneas in Amsterdam alongside other AH artists Dame Sarah Connolly and Lucy Crowe next month. In the new year she will make a further debut with the BBC Philharmonic as Ursula in Béatrice et Bénédict alongside Toby Spence, and return to Glyndebourne as Goffredo in Rinaldo. The 11 October performance in Lille was broadcast live on mezzo tv. You can next watch Avery in the Opéra de Lille production of Rodelinda on mezzo tv on 30 October 2018. Find out more about Avery’s performances in Lyon here.